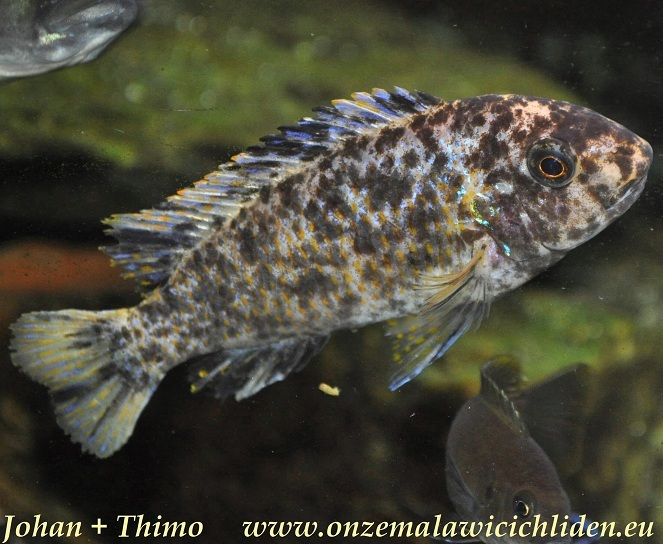 Labeotropheus fuelleborni is a species with a lot of geographic varieties which can be found all around the lake in a rocky environment, mainly in the breakers zone. 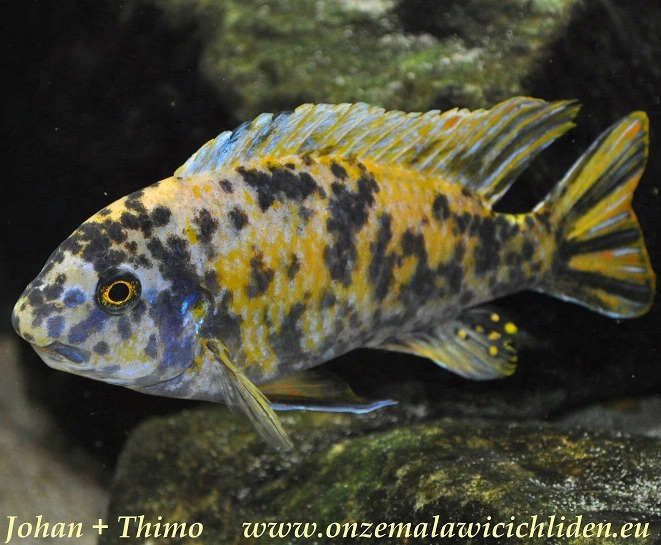 This is a species with a lot of O and OB varieties, a OB male is called "marmelade cat". All these varieties have their own specific colour pattern and also different trade names. It´s a pity we donn´t know to which location the genealogy of this "marmelade cat" leads to. 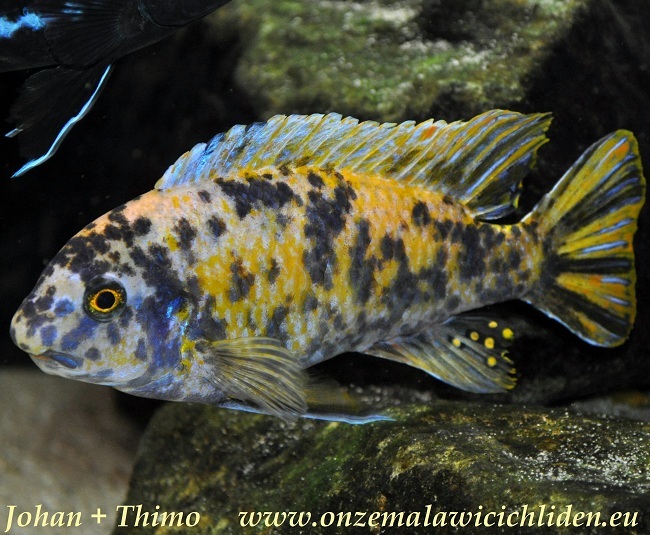 In the lake the males of these species can grow from 10 to 18 cm, depending on the place where they were found. 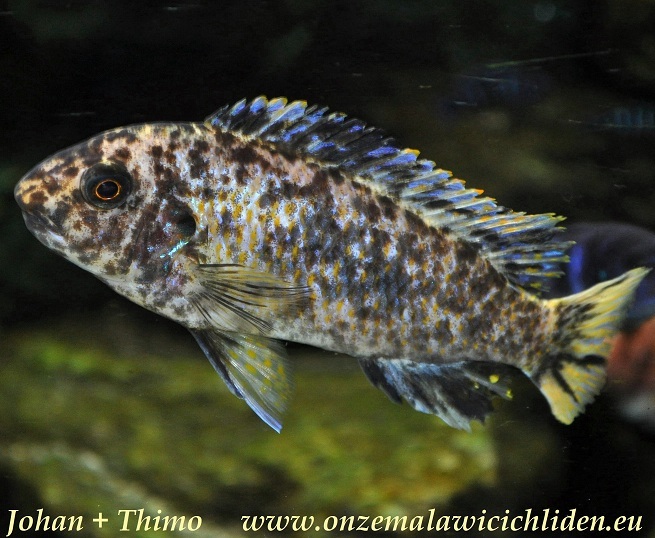 In the aquarium however they can grow taller because of a good feeding. 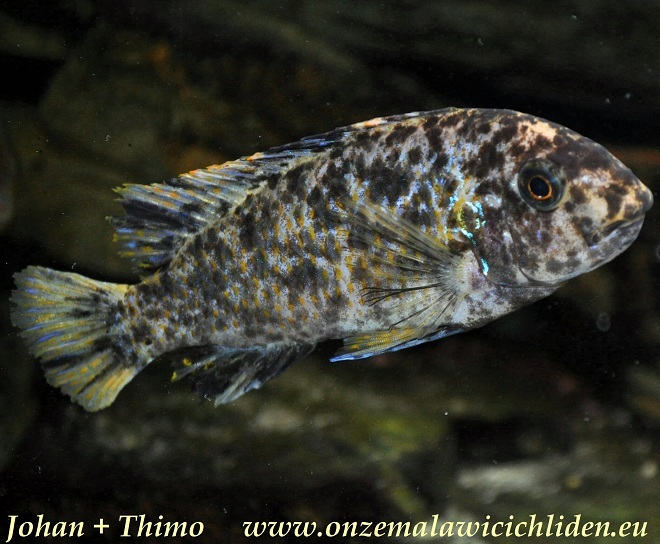 At this moment (september 2008) the males in our tanks are about 12 cm, the females are about 9 cm. 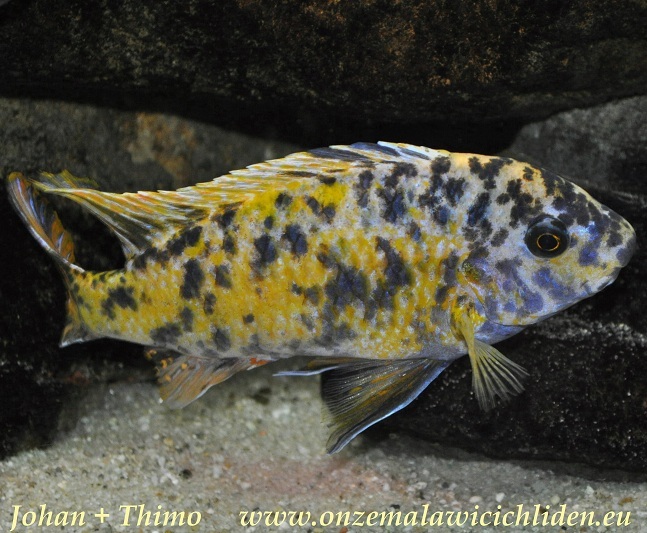 Last year (2008) we bought a group of six of these cichlids, two males and four females. Until a short time ago they were living in the aquarium in our livingroom. 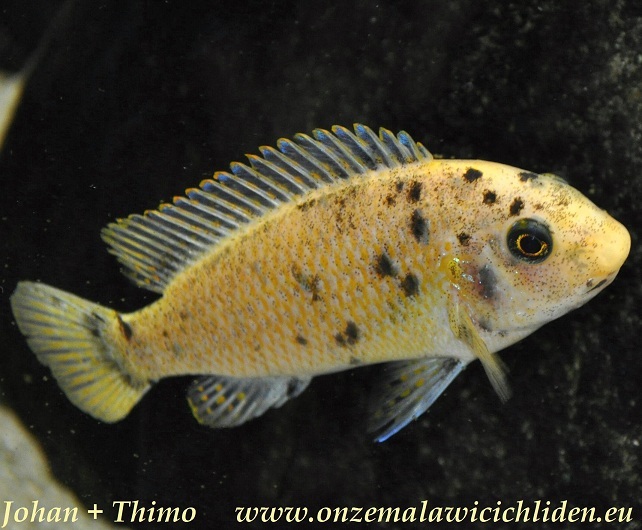 In that tank the males behaved themselves very good against each other, but we moved one of them and one female towards my (Thimo) new aquarium. 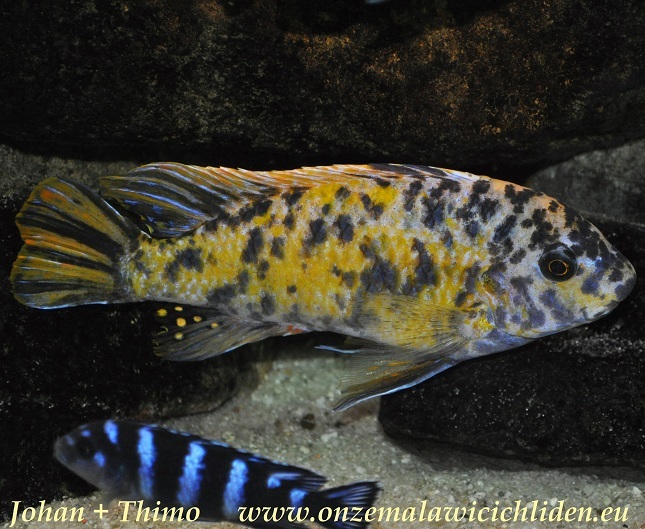 For in this tank we also bought another two females so that there`s also one male and three females in it. Against other inhabitants they behave quite tolerant except in mating-season, then the male is chasing every fish away which comes near its territory. The females are more tolerant. 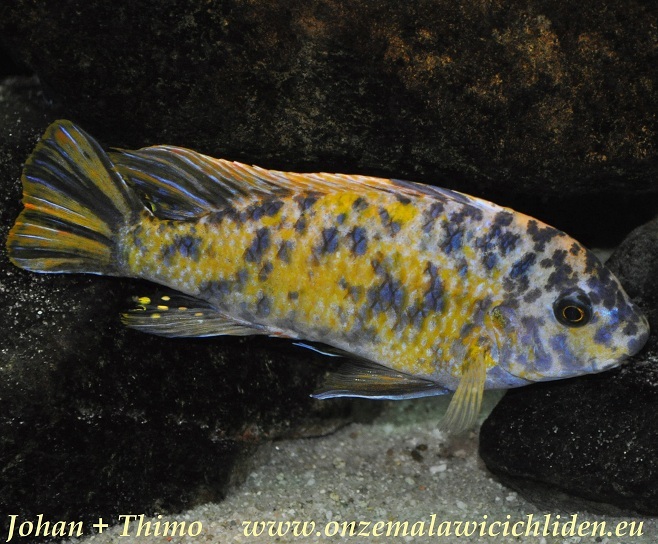 These cichlids can be very productive, the females are swimming nearly continuous with offspring in their mouth. It´s really beautiful to see them busy all day. In the lake they feed mainly on algae from the rocks. In the aquarium it is very important we give them food rich of algae, like spirulina pellets or flakes, this must not be missing on their menu. 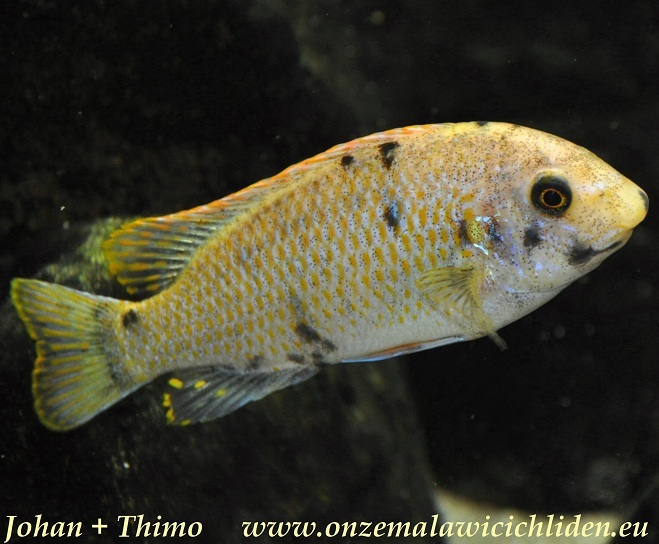 You can also offer them sometimes mysis, artemia, cyclops and shrimp-peas mix.